On Thursday 5th May 2016, Starkey Hearing Technologies will unveil the latest in hearing technology. The launch will also be accompanied by presentations outlining brighter solutions for your business and brand new marketing ideas for customer acquisition and engagement. 12:00-12:30 – Kings Suite - Starkey Halo Made for iPhone Hearing Aids. 14:20-14:50 – Kings Suite - Audiograms that make your heart sink and a product that delivers for those patients. Starkey Hearing Technologies is delighted to introduce the new Varibel Spectacle Hearing Solutions into their specialist product portfolio. Spectacle hearing aids continue to represent an attractive option for consumers who are concerned about the discomfort of combining a hearing system with their glasses or simply the overall cosmetics of wearing a hearing aid. Recognising this concern, Varibel has developed a unique eight microphone spectacle hearing aid system. 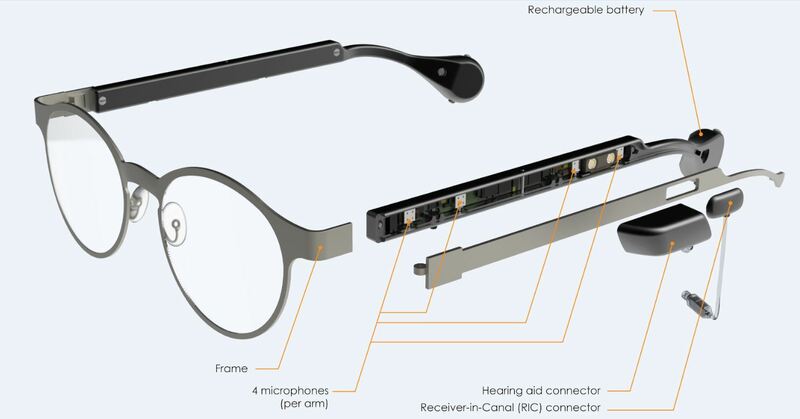 The system features 4 microphones neatly positioned inside each of the glasses’ arms to provide outstanding and unrivalled directionality for a natural sound. Incorporating digital multi-channel technology and a rechargeable battery system, Varibel presents a complete and tailored hearing solution for combining vision and hearing. For further personalisation, wearers can select their frame from an extensive range of 27 different styles. There is also the choice of two different hearing aid styles, “Behind-the-Ear” (BTE) and “Receiver-in-Canal” (RIC). Steve Wright, Specialist Brand Manager at Starkey Hearing Technologies adds, “We are really thrilled to bring Varibel into our portfolio. Starkey have long been a champion of specialist products and the introduction of Varibel is a perfect addition and compliment to the excellent range we offer. 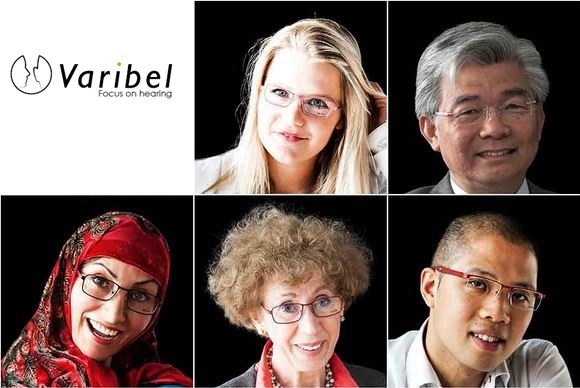 The aesthetics and performance of Varibel are certain to appeal to consumers looking for a spectacle hearing solution”. TruLink Hearing Control app is compatible with Samsung Galaxy S®5 and S4, with more models coming soon.